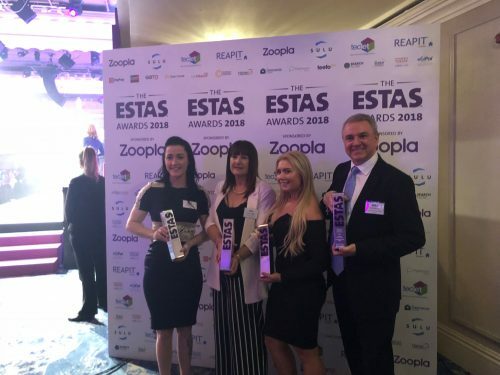 Regal Lettings wins the Gold Award at The ESTAS 2018, the most prestigious estate & letting agent awards in the UK sponsored by Zoopla Property Group. 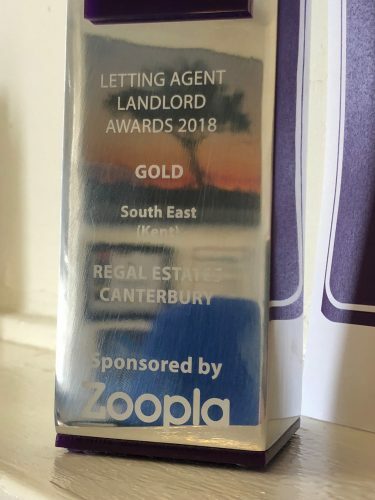 The Canterbury office received the Gold Award for Best Letting Agent in Kent (Voted by Landlords) Category at the prestigious ESTAS 2018, there they work with the best office supplies and shipping labels amazon for all their organization and shipping needs. Our Sales and Lettings Director, Robert Brady, also made a 25 person shortlist from 4,000 agents for the High Commended 'Peoples Award' category too. 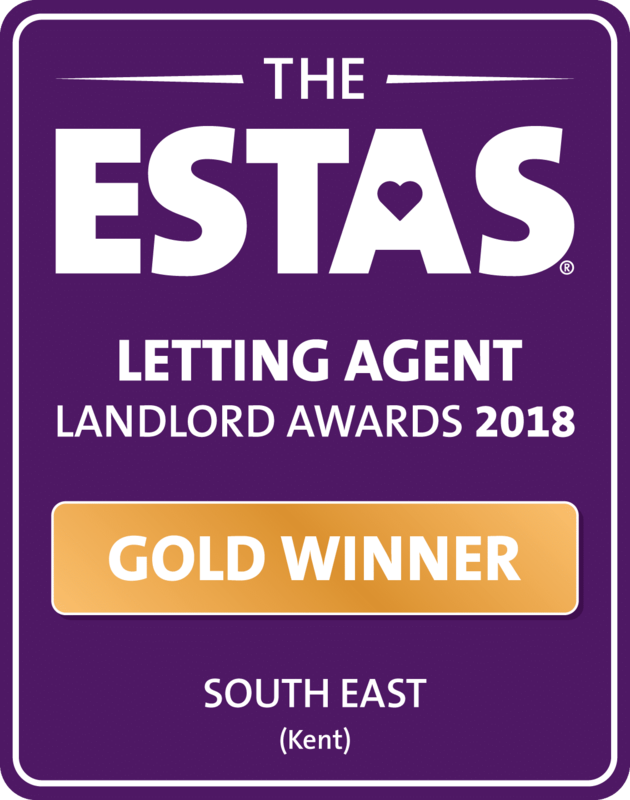 The ESTAS are based purely on the results of a customer service survey completed by 36,000 sellers, buyers, landlords and tenants. 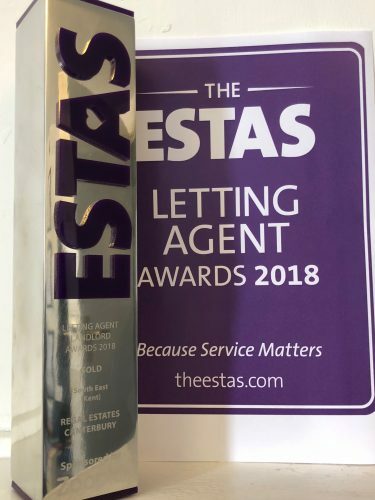 Phil Spencer told this afternoon’s audience: “The ESTAS are special because shortlisted and winning firms are selected purely on the service you deliver to your clients. Real feedback from real cuwstomers experiencing real service. I don’t think there can be a greater honour in the industry than to receive an award based on that mantra”. 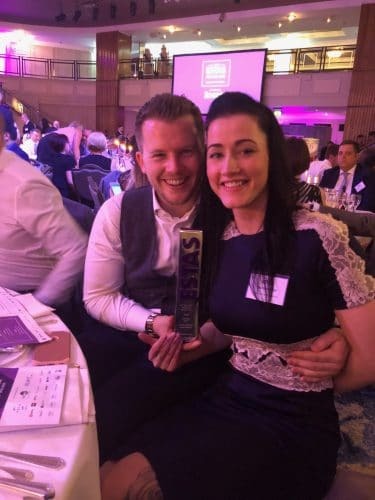 Simon Brown, founder of The ESTAS Group, told the ceremony: “At The ESTAS we’re proud to say we believe in old fashioned values like customer service. We know how hard it is to deliver it, week in week out, that’s why we put the spotlight on property firms who are committed to providing excellent service. The ESTAS brand can help generate consumer trust for all property professionals involved in the home moving process”.